What: Archaeological site and eco-water park. Don’t Miss: The atmosphere at Tulum Ruins and snorkelling amid the marine-life at Xel-Ha Park! Discover the history and beautiful nature of the Riviera Maya with a visit to Tulum Ruins, the only local archaeological area with views of the sea, and Xel-Ha Park, a natural aquarium ideal for snorkelling in crystal-clear creeks and lagoons. 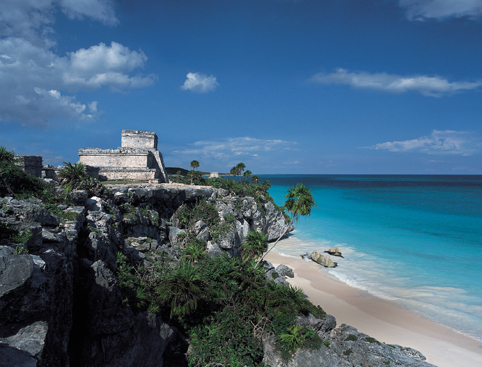 Tulum Ruins are perched high on a clifftop with the glittering Caribbean Sea as a backdrop. This one-of-a-kind archaeological site dates back to the 12th century when it was one of the few Mayan trading ports still inhabited before the arrival of the Spaniards. 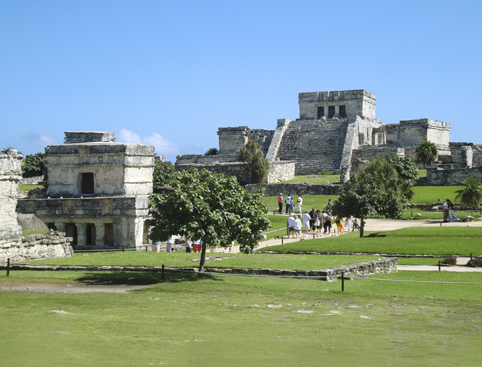 Whilst at Tulum Ruins, enjoy a guided tour and learn more of the history of the Mayans. Your experienced guide will point out all the historically significant buildings at the site, including the Temple of Masks and castle. Xel-Ha Park is your next destination, a natural aquatic eco-water park said to be so beautiful it was created by the Mayan Gods themselves! Your ticket to Xel-Ha Park is all-inclusive which means all you have to worry about is having the time of your life! Enjoy swimming in the crystal clear lagoons and creeks, and visit natural wells and grottoes fed by ancient underground rivers which flow out to the azure-blue Caribbean Sea. Swim, scuba or explore the Xel-Ha Park marine-world by snorkel, where you’ll come face to face with angel fish, curious rays and all manner of underwater flora and fauna. Whilst at Xel-Ha, you’ll visit two underwater grottos, the Cenote Paraiso and Cenote Aventura. And if you’re up for a challenge, head to the “brave stone” and see how you fare! Bee Nest: Learn about the healing power of honey produced by the Sacred Mayan Bee. Nursery Garden: Learn more about natural medicine and Mayan culture. Mayan Cross Replica: Discover more about this relic and the historic battle of the castes. Orchid Garden: Enjoy hearing about the many beautiful species of Orchid at Xel-Ha Park. Mayan House: Learn about the Mayan lifestyle and visit a historic replica of a traditional Mayan home. 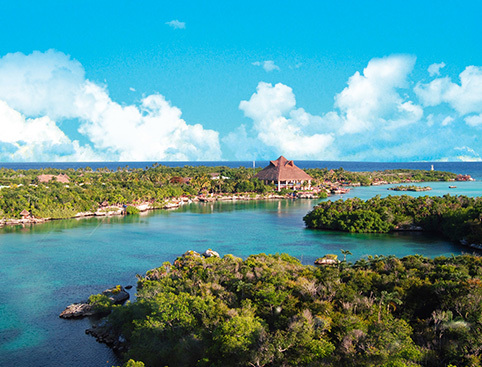 Your all-inclusive Xel-Ha ticket also includes FastPass entrance, locker, towel and snorkel use, snacks, ice-cream, beverages and meals from all five restaurants at Xel-Ha Park, plus round-trip transportation from major hotels in Cancun and Riviera Maya. Other activities include kayaking, rope swing diving, cliff diving, rope bridge walking, bicycling, scuba diving, swimming with dolphins, underwater breathing bubble and much, much more. These are optional activities and will be at an additional cost (payable when you arrive). We recommend you travel light wearing a swimsuit under comfortable clothes. Wear shoes suitable for walking at the Tulum Ruins and for the natural rock walkways at Xel-Ha Park. Don’t forget to take a hat and sunglasses. A returnable $25 USD cash deposit for the rental of snorkel equipment. 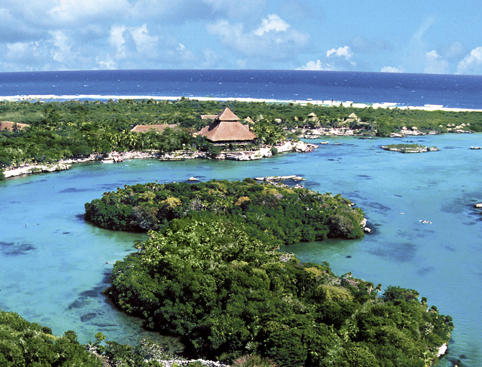 Extra money for photos, video and optional extra activities at Xel-Ha. Only biodegradable sunblock is permitted at Xel-Ha Park for the safety of the wildlife. It is important your sunscreen be clearly marked as PABA Free, Oil-Free, and Biodegradable. If you are unsure your sunscreen is safe, a suitable product can be purchased at the park. Allow a full day for this excursion. You’ll leave Xel-Ha Park when it closes at 5pm. Complimentary roundtrip transportation is provided from most major Riviera Maya and Cancun hotels. Pick-up from your hotel lobby between 7.40am and 9.20am. Please be ready in the lobby at 15-minutes before departure. Gran Porto Real Playa del Carmen at Lobby, Constituyentes No. 1, C.P. 77710, Playa del Carmen, Quintana Roo, Mexico. Playacar Plaza at Fraccionamiento Playacar Km 62.5, Playa del Carmen, Quintana Roo, Mexico. Pick-up times vary between 7am and 8.05am. Please be ready in the lobby 15-minutes prior to pick-up time. From all major Cancun hotels in the hotel zone, Moon Palace and Sun Palace. Please Note: The return drop-off service is not available for Secrets Excellence Playa Mujeres or the Courtyard by Marriott. Round-trip transportation from major Cancun and Riviera Maya hotels. Food, snacks, soft drinks, beer, ice-cream and national alcoholic drinks such as Margaritas, Strawberry Daiquiris, Pina Coladas etc. Use of towels, snorkel equipment, inner tubes and lockers. Eco Tour (subject to availability). $25 USD returnable cash deposit for snorkel equipment. Optional extra activities, photos and video at Xel-Ha.